This game will be it. Zelda looks great and all, but I’m going to go out on a limb and make a prediction here- Super Mario Odyssey will be the true star of the Nintendo Switch lineup and the highest rated game of the year. 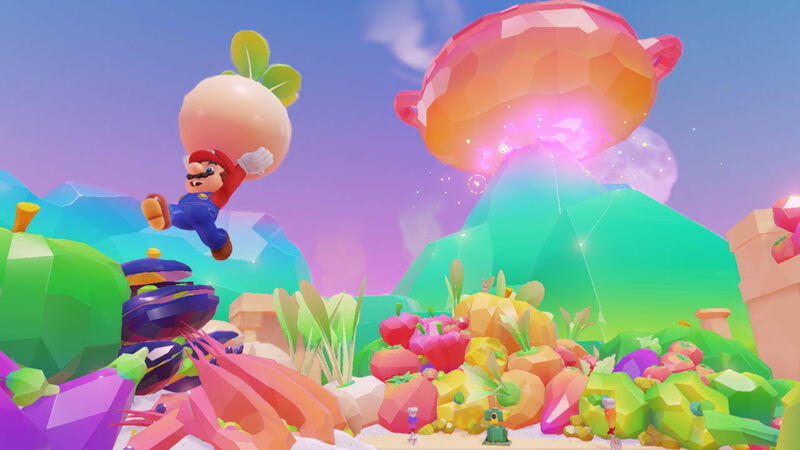 A fully sandbox style 3D platformer, in the ilk of Super Mario 64, but bigger, is something that people have been demanding for over a decade now- and at long last, it looks like Nintendo is ready to give it to them. The trailer for Mario Odyssey is well and good, but maybe you want to see some gameplay that can sell you on the game. Well, don’t worry- here’s a short and brief gameplay demonstration of the title. Do note that the commentary is in Japanese, but you can easily ignore that. The demo shows off a lot of Mario’s moves, and it appears as though Mario will have his full arsenal of capabilities, after it was significantly pared back in Super Mario 3D World. Super Mario Odyssey will launch exclusively on the Nintendo Switch this Holiday season.